Mulch is popular among gardening enthusiasts for several reasons. Mulch does an exceptional job of protecting the root systems of your plants and flowers from excessive heat or frost damage. It also helps soil retain moisture, which reduces the need for excess watering. In addition, mulch is very useful for combating the growth of weeds as it acts as a light barrier, preventing weeds from sprouting. Many people do not know that using mulch will also add valuable nutritional elements to the soil underneath. 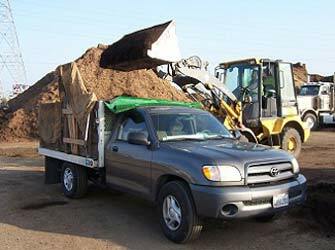 There are some visual benefits to using mulch that also make it very popular. Strategically using mulch in certain areas of your landscaping can add some interest to the look of your yard. Mulch comes in various sizes, texture and colors, so you can find something that appeals to your unique aesthetic. Mulch is incredibly easy to install. Most people typically install their mulch by hand or with the help of a hand-held blower. 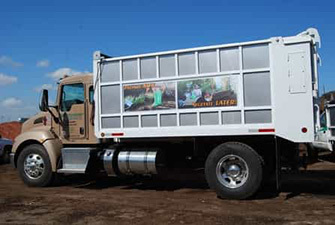 The only precaution you need to take when using mulch is that you want to be mindful not to let it build up directly under shrubs or around tree trunks. This may allow pests like mold to thrive. Once installed, mulch typically does not have to be replaced for 2-3 years.